Ralph Waldo Emerson once predicted that if one could ever build a better mousetrap, the world would beat a path to that person’s door. But the old spring-and-cheese mousetrap has been the standard for so long that it hardly seems we will ever adopt a more modern way of ridding our homes of vermin. That doesn’t stop designers from trying, however – these five designs range from amusing to amazing. Matthias Johansson is an animal lover who lives in Sweden; while he doesn’t want to kill the mice who seek shelter in his home, he also doesn’t want them to chew up his house. He created an entire system for catching mice humanely and notifying him when one stumbles into a trap. An infrared receiver detects a “guest” in one of the traps and swings the door shut (only after its tail is inside, avoiding any pain for the critter). The traps are all connected to the home security system via a wi-fi network, and when one of the traps is sprung Johansson’s computer system notifies him and even tells him which trap is occupied so he can take the mouse to the woods and set it free. When Johansson plans to be away from home for a long time, the traps are disabled so that mice won’t wander in and starve to death before they can be humanely released. For those who are far less concerned with the happiness and well-being of their mousey housemates, this wickedly powerful mousetrap will dispatch rodents with an abundance of force. The strike hammer smashes their little bones with 102 pounds of force delivered by 40-60 PSI of compressed air. Jake Easton built this tiny nightmare in part to use up some of the spare techy bits he had lying around his workshop. 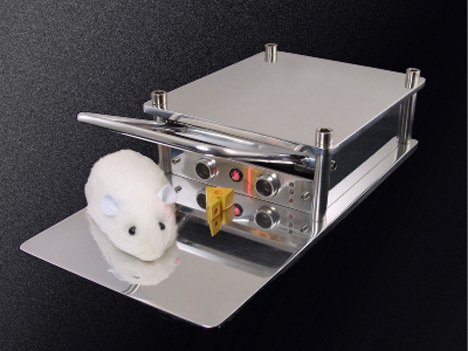 An ultrasonic sensor sees a mouse sneaking up onto the aluminum platform and brings the killing hammer down fast and hard. The only drawback (besides the obvious pain and suffering of the mouse) is the fact that the blood spatter will probably mar that super-sleek case. Even more disturbing than the pneumatic arm mousetrap is this horribly nightmarish creation from Material Beliefs. 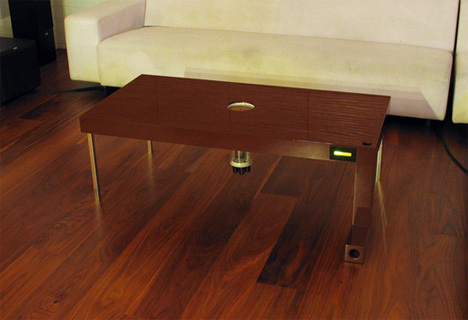 It is in the shape of a functional coffee table but features a mouse-sized tunnel in one of the legs leading up to the tabletop. Crumbs left on the tabletop invite rodents up for a snack. Once a mouse is on top of the table, he ventures into the central chamber and an iris closes behind him, trapping him inside. The details about exactly what happens next are thankfully sparse, but the table kills the mouse and uses its corpse as fuel to kill the next poor little Mickey or Jerry that dares to explore its surface. The creators refer to the grotesque table as a form of dark entertainment not unlike reality TV. 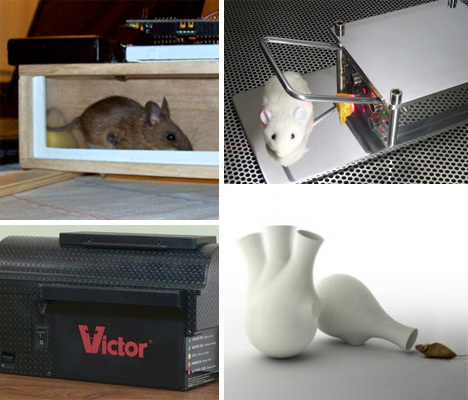 As a stark contrast to the more violent mouse-catching designs, the OneDown mousetrap uses a simplistic idea to harmlessly trap mice. The trap, designed by students at the DSK ISD International School of Design in India, rests precariously in a side-turned position. When a mouse steps inside and moves to the largest part of the trap to retrieve the food there, the trap pivots until it is standing straight up. 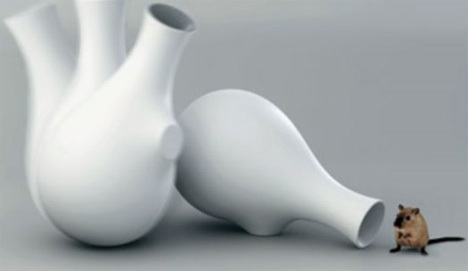 The designers don’t say how the trap stays upright if the mouse decides to throw itself against the walls, but the design won a Gold Award in the 2010 International Design Excellence Awards. 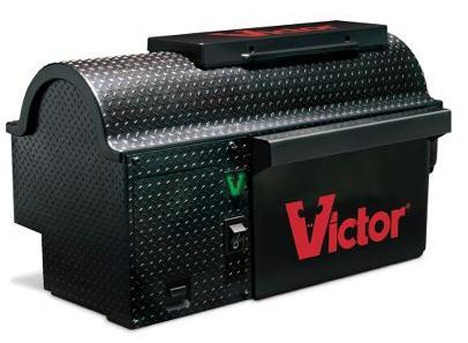 If you hold a deep disregard for mice but really don’t want to be bothered with having to look at of a bunch of corpses, the Victor Multi-Kill Electronic Mouse Trap is a remarkably effective trap that requires almost no action from you. 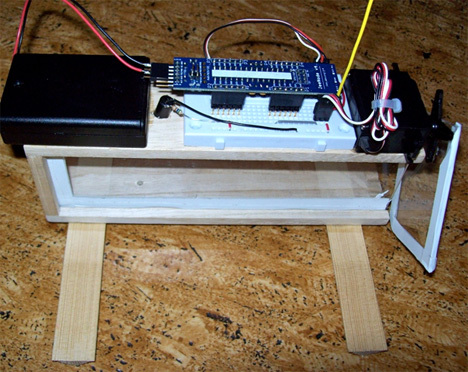 Mice walk into a little tunnel and come into contact with three electrified floor plates. They are dead within three seconds and their bodies are automatically dropped into a chamber beneath the trap. 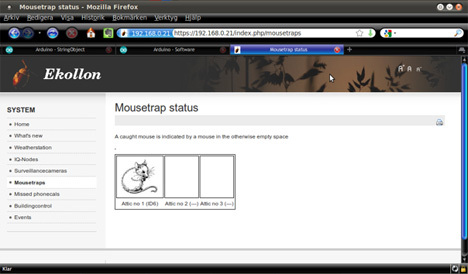 You can kill 10 mice before having to empty the chamber, by which time your mouse problem is hopefully taken care of. As the only mouse trap on this list that is actually available for purchase right now, it seems like the best one to rid your house of mice immediately. See more in Home & Personal or under Gadgets. May, 2011.